3-tier storage box is the best way to store, organize, and travel with nail supplies. 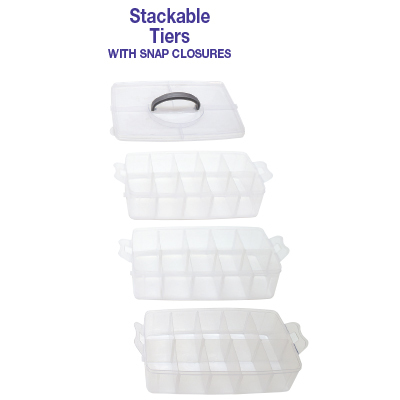 Features 3 stackable tiers with snap closures. 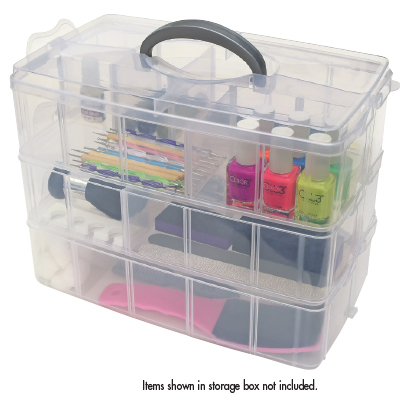 Each tier has 10 individual storage compartments with removable dividers. Measures 9-1/2"L x 12-1/2"W x 7-1/4"D. Each tier is 3" deep.